Deep brain stimulation (DBS) is a minimally invasive targeted surgical procedure primarily used to treat movement disorders in Parkinson’s disease, dystonia, and essential tremor. 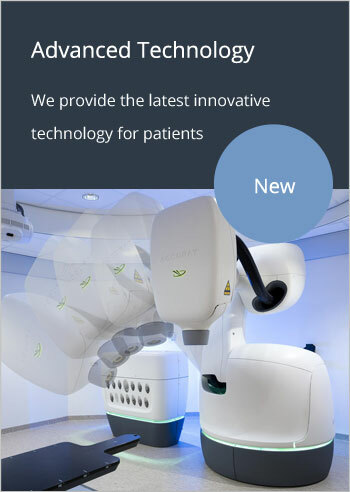 Several new clinical indications are currently evolving including DBS for failed back surgery, Tourette and thalamic pain syndromes, postherpetic neuralgia, trigeminal neuropathy, refractory headaches, epilepsy, and some psychiatric disorders. 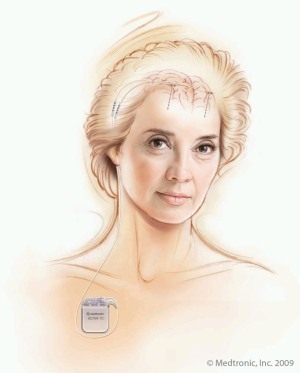 In 2018, the FDA approved the use of Deep Brain Stimulation therapy for focal epilepsy. DBS therapy consists of a thin wire with electrodes at the tip that is implanted into a target area in the brain. A neurostimulator device is placed under the skin of the collar bone and can be programmed to deliver small electrical pulses to a particular area of the bran to help stop or lessen the number of seizures. Dr. Kara Beasley is among only 18 surgeons in the country that have been trained to perform DBS therapy for the treatment of epilepsy. DBS is performed using a thin, insulated wire electrode, which is inserted in the subcortical structures of the brain and connected to a stimulator (Figure). It delivers carefully controlled electrical impulses to precisely targeted areas in the brain that are responsible for patient symptoms. The stimulation may be programmed and adjusted non-invasively by a clinician to help maximize symptom control and minimize side effects. It may take several months to feel the improvement in the patient quality of life and achieve the optimal balance between the stimulation and medications. In properly selected patients, DBS is quite safe and effective. The most often side effects include bleeding in the brain (1 – 2%), breakage of the device (1%), infection (5%) and sometimes cognitive decline. Some patients may experience temporary problems due to the stimulation itself, which may include dizziness, difficulty with speech or balance and depression. The stimulation parameters can be adjusted to eliminate these symptoms. Patients should be aware that they can no longer undergo a full body MRI examination and special imaging protocols have to be used for head MRIs. When stem cell and gene therapy becomes available, it still remains an option for the patients that underwent DBS. Click this link to view our DBS brochure.